Tranmere have completed the signing of Manchester City defender Shaleum Logan on loan until the end of the season. 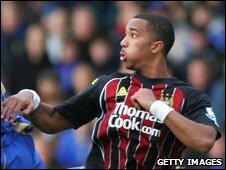 Logan, 20, rose to prominence with some fine displays during City's run to the FA Youth Cup final in 2006. Rovers boss John Barnes said: "I'm delighted to be able to bring Shaleum to Tranmere for the season. "He is a talented young player who will improve our defence. I'd like to thank Manchester City manager Mark Hughes for allowing Shaleum to join us on loan." The young defender made his Premier League debut in February and has made 19 career appearances in total. Logan, who has previously enjoyed loan spells at Grimsby Town, Scunthorpe United and Stockport County, has been given permission to play in all three cup competitions for Rovers.